Anyone who has ever wanted to get away and buy a home in a rural area far from the hectic city lifestyle knows that banks are not particularly friendly toward buyers looking for loans for rural properties. It is true that most banks prefer to avoid home loans on any property outside of major city limits. They even have classifications for non-farm, home properties in those areas. They are known by lending officials as sub-rural or sub-suburban homes. Properties outside of the common living areas they are comfortable with. Most people haven’t heard of programs that are created to help them break free of the rigid confines of the lending institutions. That’s because banks like to keep those little secrets locked away, so lending stays in their pockets. However, there is a great home mortgage solution for anyone interested in rural estates, homes in small rural communities and even small farm properties. It is known as the USDA loan program, or more officially as the USDA Rural Development Guaranteed Housing Loan program. Most Realtors and home buyers know these types of loans as USDA loans, section 502 loans or simply rural housing loans. Whatever name you use to describe it, this loan is an excellent way to find the financing for a pathway to a bucolic lifestyle. Eligible home owners can get a USDA loan with no money down. 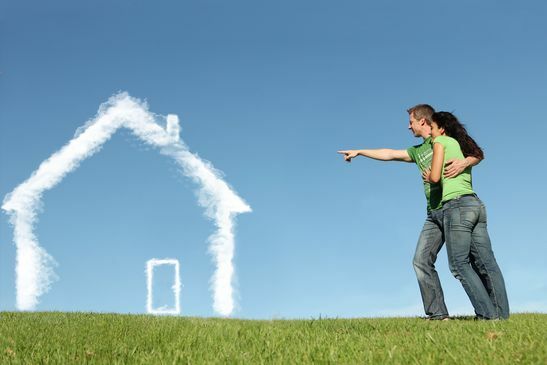 These 100% loans for suburban and rural properties must be used for personal residences. They are backed by the government, created to serve a niche that doesn’t exist in traditional lending arenas. This is one of the few loans you can’t get at a bank. It is available through the USDA. With a rural housing loan buyers can get low interest rates that are even better than the average bank lending rates, and may not have to put any money down. These are standard loans, similar to what buyers can apply for at a bank when it comes to the terms of the loan. Payment schedules are the same, and these loans do have the same closing costs. There are no prepayment penalties or hidden fees to worry about. There are some differences in the application process with the USDA loan. There are fewer application requirements and unlike the most common bank loans, home buyers can get a mortgage with no money down. All home buyers, first time buyers and repeat buyers alike can apply for a USDA home loan, and the program does not require homeowner counseling. Since the USDA Rural Housing program is totally backed by the government without lending support from the banking community, it does require borrowers to carry insurance on the mortgage in case of default. It is a small extra expense, but that is one of the ways the USDA loans are able to provide loans with such relaxed application standards in areas where banks do not often grant a loan approval. This stipulation is similar to FHA mortgages, and the premiums are what allows the USDA loan program to continue as a government funded entity. The insurance rates for a USDA mortgage are easily affordable and set fees depending on the type of mortgage. These fees are partly paid at the time of closing, and a smaller part is incorporated into the life of the mortgage. Standard purchases and refinances have a 2% fee with .40% annually added to the principle balance of the loan. As an example: A modest $100,000 USDA loan would need the buyer to pay $2,000 at closing, plus add $33.33 to their monthly mortgage payment for insurance. This is a very small price to pay considering how difficult it is for home buyers to finance homes in rural areas. USDA loan interest premiums are the lowest of all federally granted home loan insurance costs. Additionally, the standard interest rates for USDA mortgages are so low they more than make up for the difference in insurance premiums.